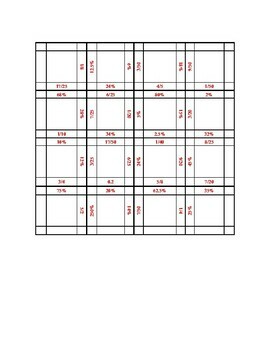 Students cut apart a 4 by 4 square with fractions and percents. 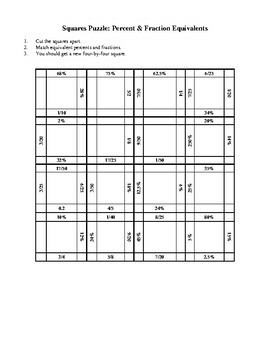 By lining up equivalent percents and fractions, they create a new 4 by 4 puzzle. Outer edges are blank, so the puzzle is easier.